New Jersey made history by becoming one of three states to legalize online poker and online casinos, essentially revolutionizing the domestic online gambling market. Online casinos make up the lion’s share of the revenue, so lawmakers have pitched the idea of creating an interstate poker network to jumpstart the market. The current legislation has provisions that are stifling any progress. State Senator Ray Lesniak is ready to take the necessary legislative steps to get the ball rolling. As of now, the biggest obstacle standing in New Jersey’s way is a provision in the legislation that says that online gambling operators serving New Jersey must have serves located within state lines. The other two states with legal, state regulated online poker, Nevada and Delaware, do not have servers located in the Garden State, which means they cannot service NJ residents. New Jersey recently made an audacious attempt to join up the United Kingdom’s online poker network, which would increase the player pool by millions, but New Jersey’s in-state server clause caused the deal to fall apart. UK poker regulators have no incentive to relocate their servers to New Jersey at the cost of losing contracts with poker vendors like PokerStars. The clause was originally included to establish Atlantic City to be the main beneficiary of domestic poker, but the numbers do not reflect the intent. In June 2017, the state’s online poker sector reported the lowest revenues since the law was enacted back in 2013. For Senator Lesniak, this is the final straw. Lesniak is drafting a bill that would strike the in-state server requirement from the current law. Nevada and Delaware do not have this requirement, and Pennsylvania, the next state up with pending online gambling legislation, does not have any similar language. David Rebuck, Division of Gaming Enforcement Director, has begun exploring possibilities for all three states to share player pools. Rebuck expects the interstate poker network to be profitable for all parties involved. Senator Lesniak wants his state to get in on the action, but his bill would have to go through first. Lesniak is no stranger to advocating for New Jersey online gambling. He was instrumental in the original law being passed back in 2013. His vision is to make New Jersey the “mecca” of legal online gambling in the US with international aspirations. Should his legislation pass, talks could begin again with the UK Gaming Commission about shared player pools. Online gambling has revitalized the local gambling industry and Lesniak sees his bill as another step in the right direction. One thing that could help Lesniak in his cause is the ongoing New Jersey sports betting case. The state tried to authorize sports betting, but was stopped by the major sports leagues. The state has appealed its way up to the Supreme Court, which could rule in favor of the state and overturn the long-standing federal ban on sports betting. Should this happen, New Jersey would be allowed to host online sports betting. Sports betting is an incredibly popular industry and would drive user traffic. 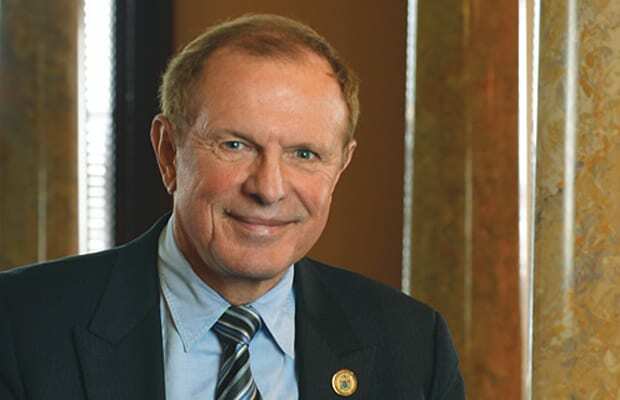 Lesniak hopes that traffic would spill over into the poker sector. A victory in the Supreme Court coupled with Lesniak’s bill would undoubtedly shift the online gambling market. It could end up being the domino that sets off a chain reaction towards a widespread, nationwide online poker network. If the US can get their poker network going, international partnerships become more feasible. This would create a global framework that would ultimately generate a better user experience.